Crafted in heavy-weight solid metal alloy and hand-painted, this miniature stands 2 1/2-inches tall and features an integral base! 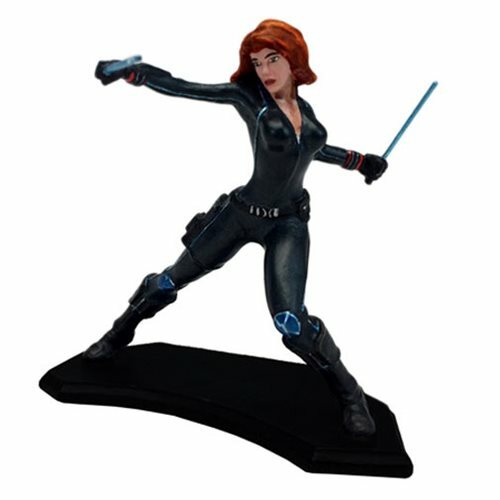 Based on the Avengers: Age of Ultron movie, this Avengers: Age of Ultron Black Widow Metal Miniature Mini-Figure portrays Natasha Romanoff wielding her stun batons. Black Widow is a numbered, limited edition of 500 pieces and comes in full color foam-lined archival box with a separate certificate of authenticity. Ages 18 and up. This product contains lead. Keep out of reach of children.